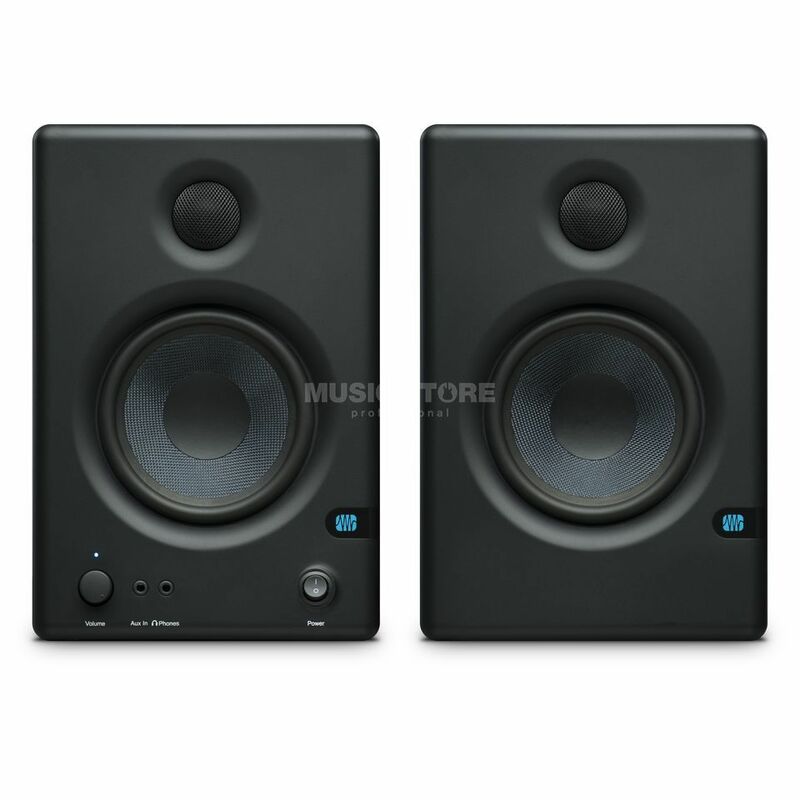 The PreSonus Eris E4.5 is a two-way active studio monitor. The smallest of the range, it has a 4.5" Kevlar woofer and a 1" silk dome tweeter, both powered by 25 Watt amplifier. The Eris E4.5 has a frequency response of 70Hz-20kHz and a max SPL of 100dB so can deal with a wide range of material. There is also a front-firing bass-reflex port for reinforced low-end response. The rear of the Eris E4.5 features input gain control, as well as room adjustment controls, including a mid and high +/- 6dB cut/boost, LPF with 80Hz or 100Hz cut-off settings and an 'acoustic' space attenuator control for accommodating different distances between the listening spot and the rear wall in your studio. The PreSonus Eris E4.5 inputs via 1/4" jack and RCA. Very good sound and stereo image. Like every monitores, this ones lack in the low end frequencies too. All the settings and entries in the back of the left monitor are extremely useful and provide a wide range of different ways to dispose them in your studio.